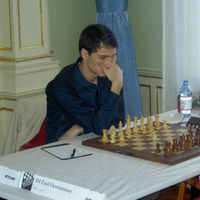 Just a few hours after Ivan Cheparinov won the 2007 edition of Sigeman & Co he gave a telephone interview for chessdom.com. Q: Hello Mr. Cheparinov! Congratulations on your victory! How do you feel? Q: Who was your most serious opponent in Malmo? streak in the second half of the competition and he has chances for the second place. Q: Was there a battle of generations at Sigeman & Co? were stronger at this competition. Q: A few words about the organizers and the tournament? was also very nice. Great work from the organizers. Q: How come there are so many chess talents from a small country like Bulgaria? we will be a serious factor on the chess scene in the next years to come. Q: Veselin Topalov practices with you, who do you practice with? benefit a lot from our cooperation. Q: What is the role of computers in chess? A: The machines are an important factor in chess today. We use them more and more. adequate control this problem can be eliminated. Q: How do you find anti cheating measures nowadays? and anti cheating measures were at their minimum. was so in the years before, it will be so now. - hard work. If you do not work hard, you cannot develop. that Veselin will show he is the best at the moment. Q: When is your next big competition? young players and experienced ones. The best youngster will play next year in Monaco. Q: How do you see chess in the future? everybody and the Internet is the only option to globalize it.